Two vampiric brothers run for their lives from Japan's powerful hero, the Mortem Brand. Written from the perspective of one of the vampires, they must face their worst nightmare: the man who wields the "Sword of Death." Once upon a time, a young swordsman entered the haunted tower and had everything taken from him. 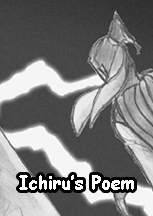 Now a traveling Guardian, the man once known as "Ichiru" returns to the cursed place to remember his past. Ichiru is a young farmer and amateur swordsman in rural Japan. His mundane life is turned upside down when he finds he must rescue his beloved from the grasp of an evil demonic entity. Does he have what it takes to set her free? 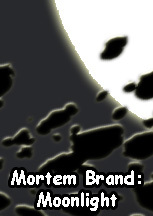 And what role does the mysterious "Mortem Brand" play?